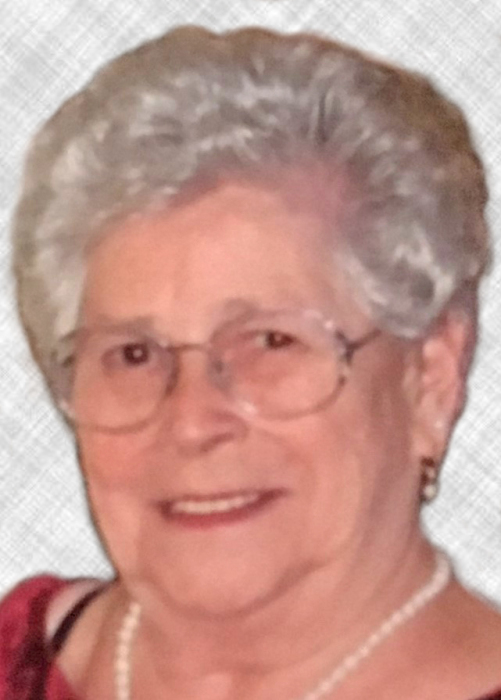 June T. (Dickinson) Robinson, 85, of Cumberland, died February 5, 2019 in St. Antoine Residence, North Smithfield. She was the wife of the late Malcolm “Mac” Robinson. Born in Pawtucket, she was the daughter of the late Henry and Alice (Forcier) Dickinson. June spent her early years in Lewiston, Maine, moving back to Pawtucket in her teens. She moved to Cumberland sixteen years ago. June and Mac loved to travel in their motor home. In their retirement years, they visited 45 states and all of Eastern Canada. June was also passionate about gardening and bird watching. She was a member of Chapel Four Corners Community Chapel, Cumberland. June was a kind and generous woman. She loved her family dearly. Besides her daughter Sandra Soares and her husband Paul of North Smithfield, she also leaves her loving family; Pamela and Geoffrey Grove, Paul Soares, Jr., and Martha Donovan; and great grandchildren, Katie and Madeleine Grove and Travis, Julia and Alex Soares. She was the sister of the late Leslie, John, Richard, Rebecka, Stanley, Earl and Philip Dickinson, Jennie Mayeux, Ruth Palmer and Mildred Thomsen. She leaves many nieces and nephews. Her funeral service will be held Monday, February 11, 2019 at 11 AM in Four Corners Community Chapel, 200 Angell Road, Cumberland. Burial will be private. Calling hours are Sunday from 3-6 PM in the Holt Funeral Home, 510 South Main St., Woonsocket.